How often do you get to climb into an incredible work of art? 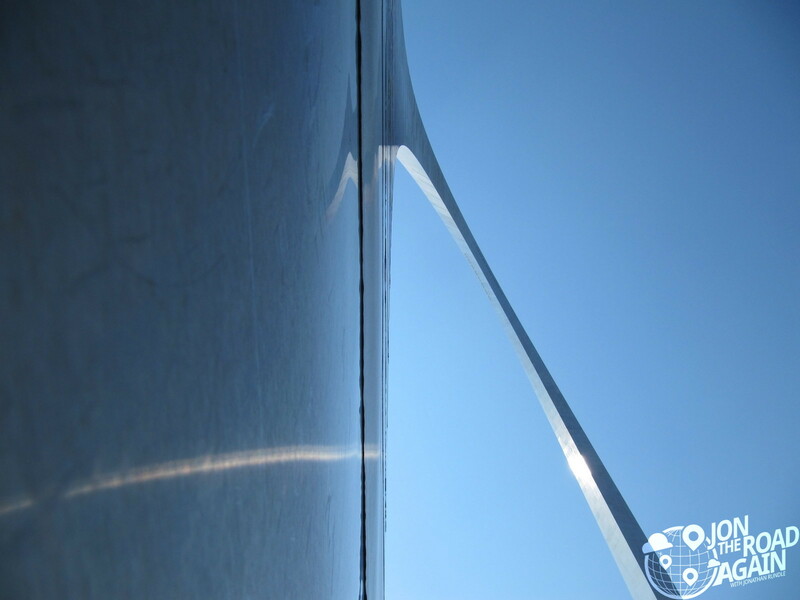 This Eero Saarinen-designed monument debuted in 1967 after 20 years of design, development and two years of construction. 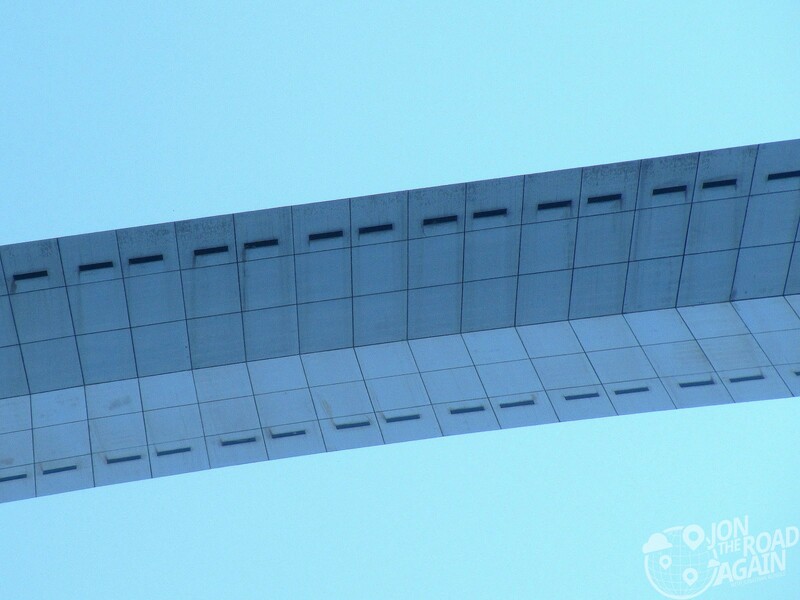 The arch is as tall as it is wide – 630 feet. 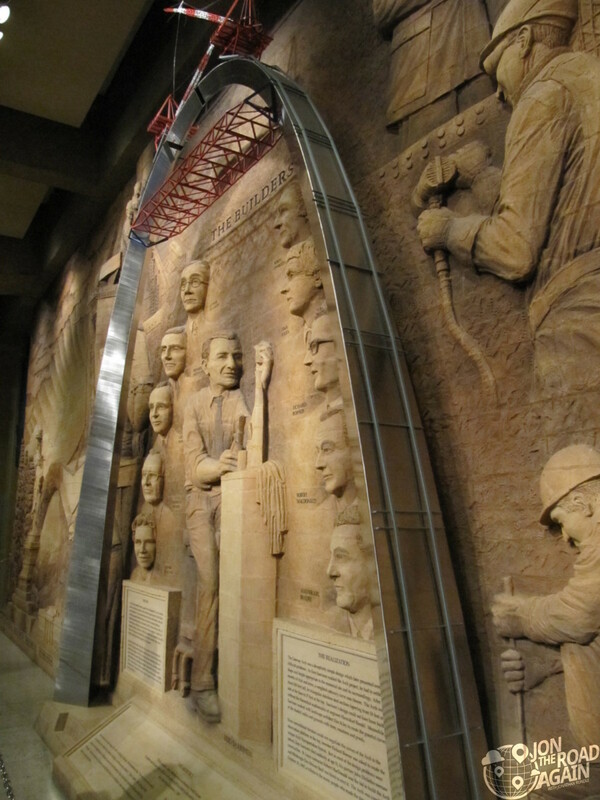 Motorized trams take you from the subterranean visitor center up into the arch. The trams themselves are great examples of 1960’s futurism. 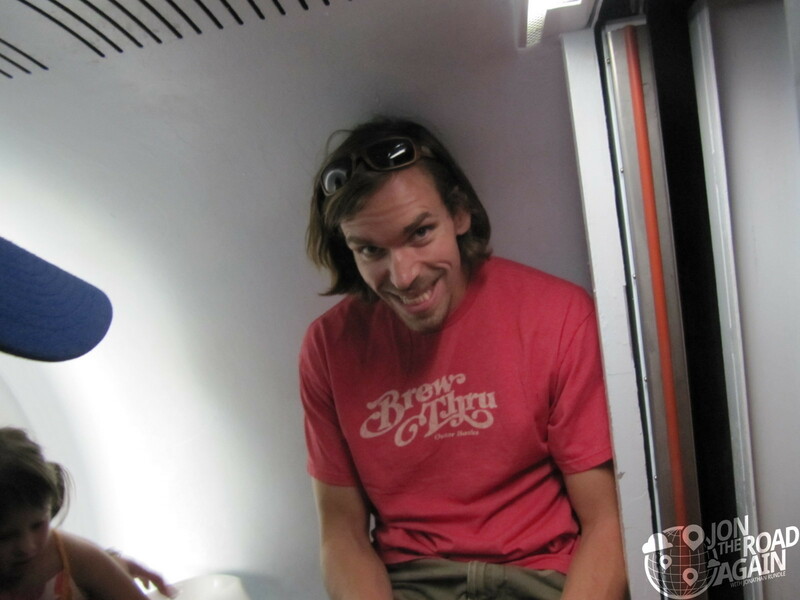 It’s a tight squeeze as each tram car only seats five, but luckily it’s a short trip. The journey to the top takes four minutes, the trip down only takes three. 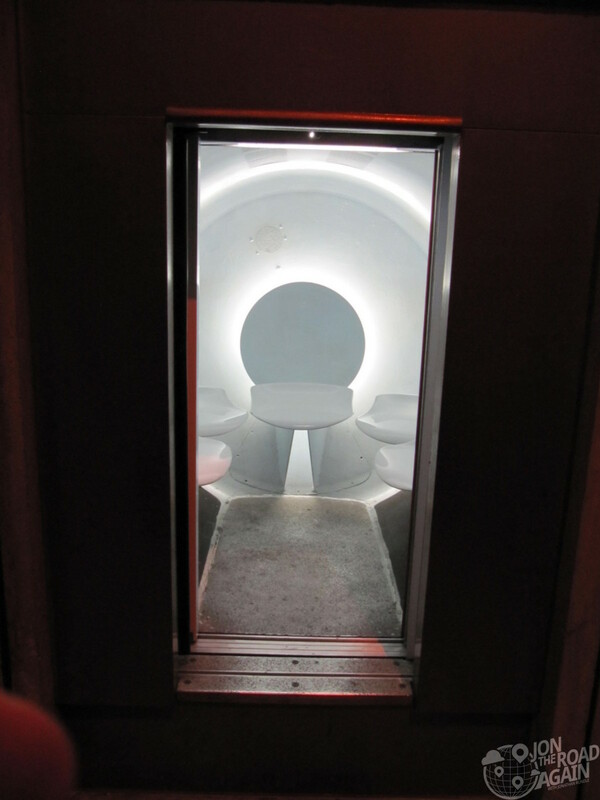 The observation deck, as you might imagine, is a confined space. Sixteen slim windows on each side provide views of up to 30 miles. Great views of the Old Courthouse and Busch Stadium are easily found on the western side. 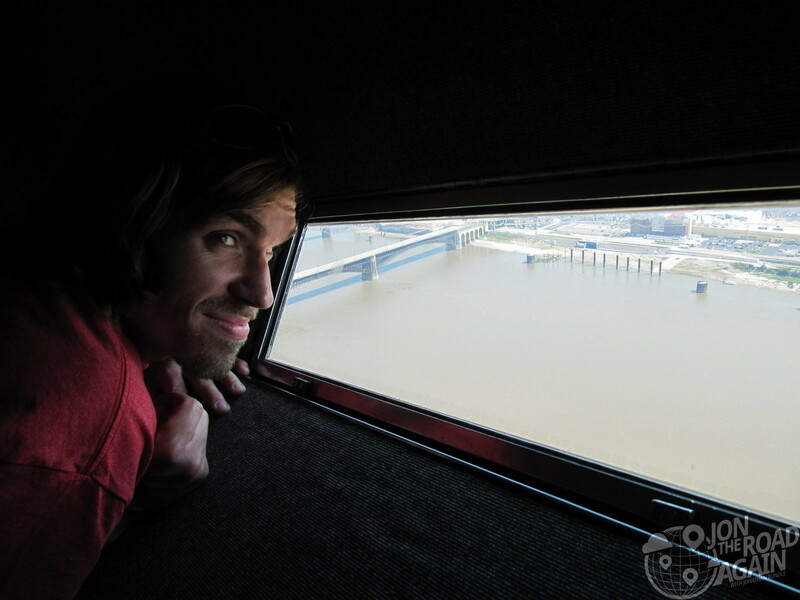 A thrilling part of the view is the fact that you have to lean onto the arch wall to get your face up to the window. 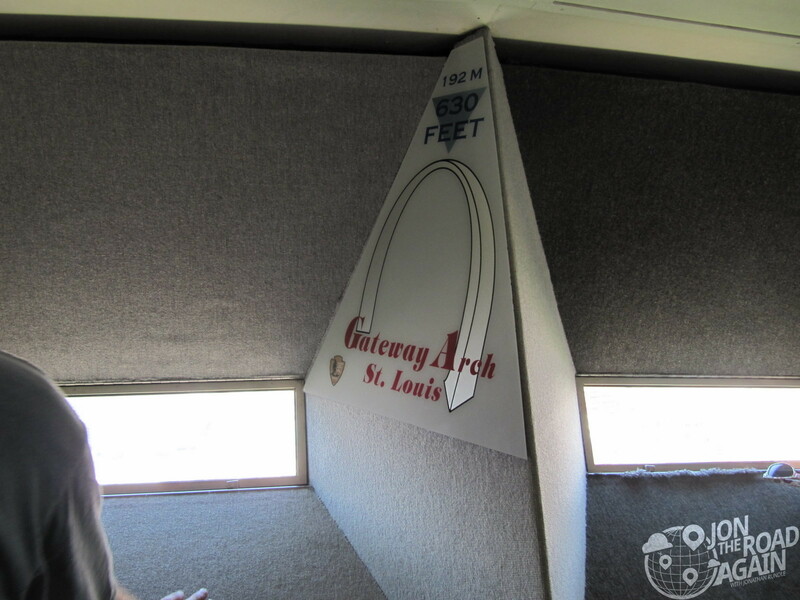 Looking down 630 feet from the top of the arch is a unique experience. A suitable and permanent public memorial to the men who made possible the western territorial expansion of the United States, particularly President Jefferson, his aides Livingston and Monroe, the great explorers, Lewis and Clark, and the hardy hunters, trappers, frontiersmen and pioneers who contributed to the territorial expansion and development of these United States, and thereby to bring before the public of this and future generations the history of our development and induce familiarity with the patriotic accomplishments of these great builders of our country. 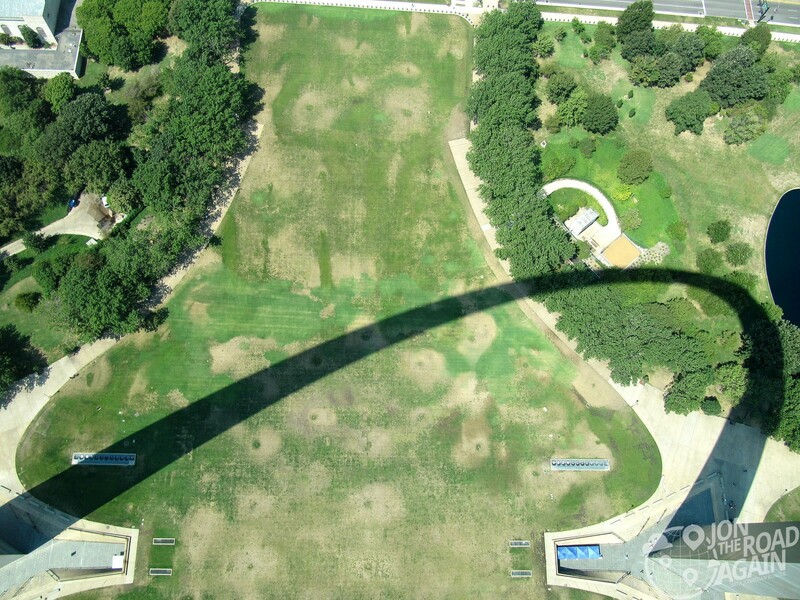 The arch is the centerpiece, but the other sites are very much worth visiting. 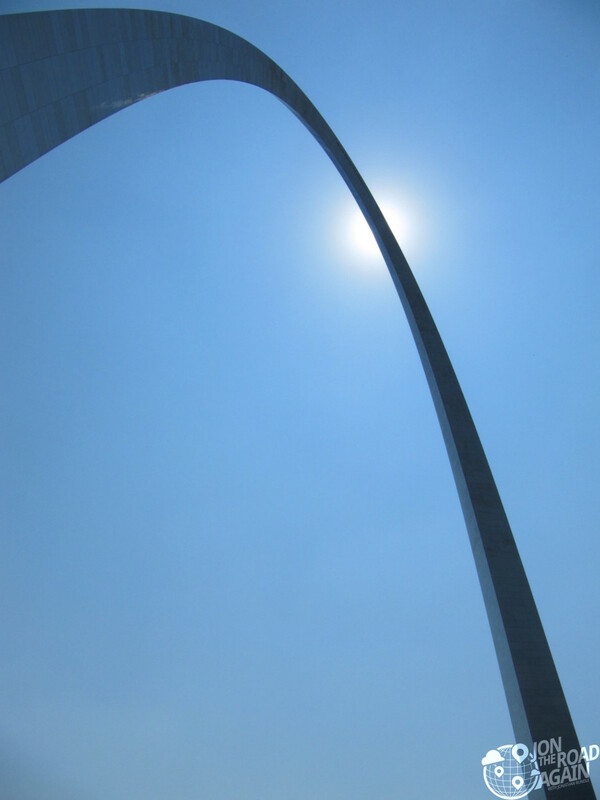 The Museum of Westward Expansion is located under the arch and the Old Courthouse is a short walk west of the arch.